Ultrasound technology aids pronunciation training because it makes visible what ordinarily is not. Ultrasound technology produces a real-time visual image of speech articulations that take place inside of the mouth; thus, it contributes visual input to an instructional context. This chapter first reports on investigatory applications of ultrasound within the context of second language instruction. Two pilot studies have been conducted which, although they did not return statistically significant results, pointed to high potentials for pedagogical efficacy in instructional settings. Ongoing use of the ultrasound in language classrooms at the University of Arizona underscores the ultrasound’s applicability to pronunciation training settings. 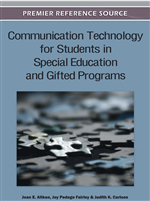 In light of the positive results in the language classroom, the implications for ultrasound applications to speech language pathology are considered. Two broad areas of potential application are diagnosis and treatment practices. Challenges facing ultrasound-enhanced pronunciation instruction are subsequently discussed, and future directions are suggested for continued research into ultrasound technology as an instructional aide. At the University of Arizona, the Arizona Phonological Imaging Lab (APIL)1 has been experimenting with the utilization of ultrasound technology for pronunciation instruction in the context of second language learning. In two pilot studies and ongoing application to language classrooms, APIL has touched on a practical place for ultrasound technology in language learning contexts. Before discussing the benefits that Arizona Phonological Imaging Lab (APIL) has demonstrated thus far, it will be useful to first consider how the ultrasound works. When one places the ultrasound transducer (i.e., the ultrasound’s “eye”) underneath one’s chin, a black-white image of the tongue appears on the ultrasound monitor. The image is a video image of the tongue in real-time, and the frame rate is fast enough to produce fluid images of tongue movements. The clarity of the tongue image depends on the distance between the tongue and the ultrasound transducer. As such, the tongue image is more opaque when it is positioned close to the palate. In the two ultrasound screenshots above, Figure 1 is what one sees on the ultrasound monitor in real-time. Figure 2 features a superimposed profile frame which is not visible during ultrasound use, but is provided here to give the reader a means for better situating the tongue image that they are seeing in Figure 1. The transducer functions as the ultrasound’s eye. The transducer is a thin, plastic probe with a rounded edge that is held in the hand and attached to the ultrasound monitor via a cable. When one places the transducer against the body2, the ultrasound monitor makes visible what is beneath the skin. More specifically, the ultrasound “works by emitting high-frequency sound waves which are reflected back to the transducer by surfaces with sharp changes in density” (Archangeli & Mielke, 2005, slide 18). The ultrasound responds to sharp contrasts in density such as between a tongue and the empty air that lies between it and the palate. The contrast between air and tongue makes the tongue’s upper surface highly reflective, or echogenic of ultrasound waves. While the tongue’s surface is highly visible in the ultrasound image, the palate is not. It is possible to image the palate on the ultrasound if one holds water or gelatin in their mouth while placing the transducer under their chin. This works because the fluids fill up the empty space between the tongue surface and the palate, thus reducing the density contrast that would normally exist (Archangeli & Mielke, 2005). However, since we cannot generally articulate well with liquids in our mouths, we are limited to either projecting the palate or the tongue, but not both at once. In practice, students readily comprehend the ultrasound images even without seeing the palate (D. Archangeli, personal communication).